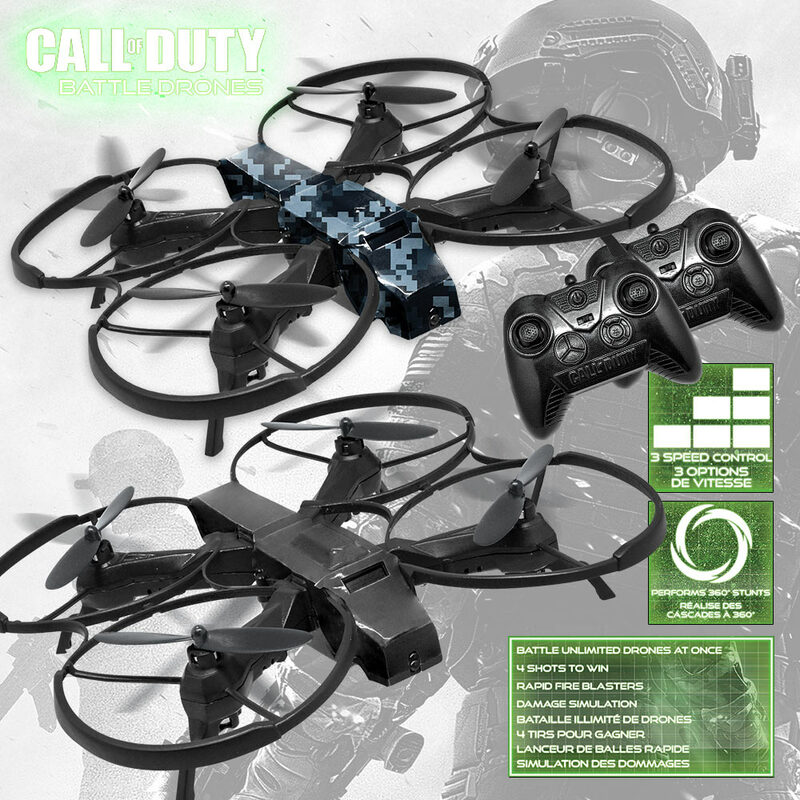 Call Of Duty Battle Drones - Set Of Two | BUDK.com - Knives & Swords At The Lowest Prices! 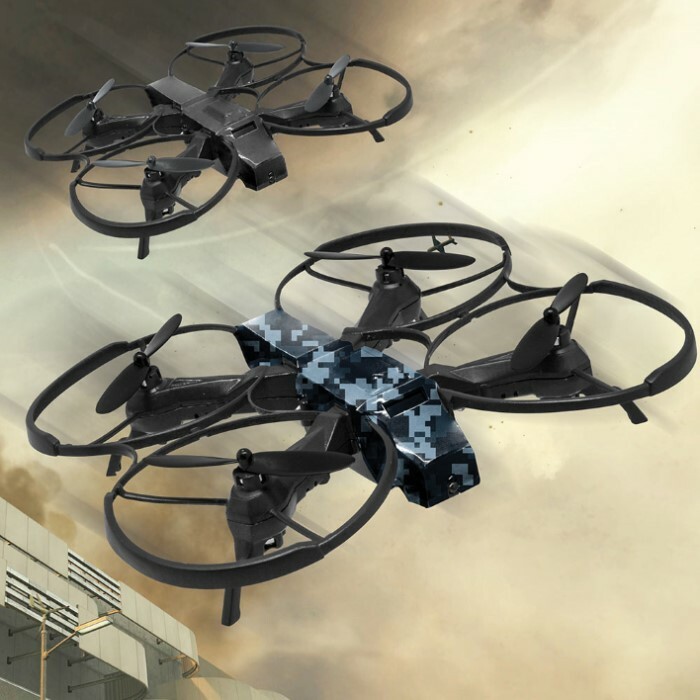 Battling drones with interactive IR recognition lets you get into the action! Have an aerial battle with your friends or any opponent who has a Call of Duty Battle Drone and you can do battle with unlimited quad drones. 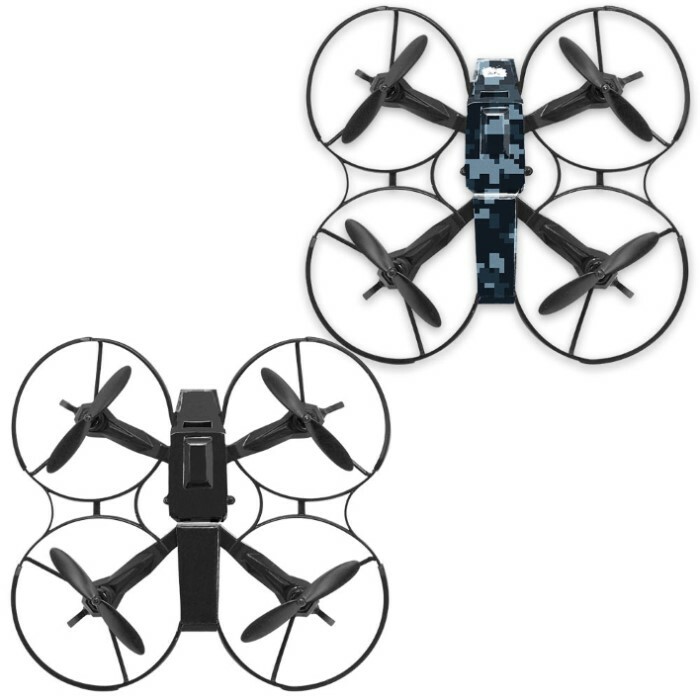 With its 6-axis gyro, the drone will perform 360-degree turns, flips and rolls and also has three speeds and a headless mode. After three hits, the battle drone slowly lands and shuts off. The 3.7V 220mAh Li-PO rechargeable battery gives you up to 7 minutes of battle time. Included are an extra set of propellers, USB charger and a screwdriver. The battle drone is 6”x6”x1”. This is a set of two.